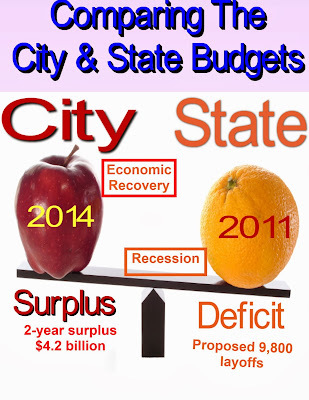 Linking The State 2011 Contract With The Proposed Five Year City Contract Is Like Comparing "Apples To Oranges". I am somewhat astounded that anybody with a bit of intelligence believes that the Bloomberg Administration's proposal that follows the pattern set by the State back in 2011 is a realistic proposal. There are many reasons why the City's contract proposal is not an appropriate starting point for negotiations for the next five year contract. First, let me remind the readers what the State contract with their unions ended up to be. The five year contract gave the unions a total of 4% in raises (0,0,0,2,2) for the length of the contract. The City decided that this pattern was still too expensive and wants to give the Municipal workers a 2.5% increase for the five years (0,0,0,1.25,1.25). I guess it was Mayor Bloomberg's way of "twisting the knife" by proposing such an insulting contract. Why I believe using the State contract is not an appropriate pattern for the next City contract? Let's do the analysis. The economy back in 2011 was slowly crawling out of a deep recession and there were fears of a "double dip recession". The State economy was in shambles with high unemployment and local governments laying off thousands of employees. The State was talking about 9,800 layoffs and layoff notices were actually sent out in some cases. Furthermore, the State cut budgets across the board and imposed a 2% property tax cap on local governments and school districts, while cutting State aid. Under this dismal economic cloud, it was paramount for the State unions to negotiate a contract that protected its members. In 2011 there was a projected $10 billion dollar deficit. The State responded by cutting budgets an average of 2% throughout the State and had to adjust to receiving reduced federal funding. Combined with rising unemployment, less income and sales taxes coming in, the State was in poor financial condition. The result was a deficit that must be closed to obtain a "balanced budget". Therefore, the State made a compelling case to the unions that "job security" was better than laying off the members. Even in good economic times, the State unions have little leverage when it comes to contract demands. This is especially true when the Republicans controlled the State Senate. Usually, the only time the State unions can obtain a generous contract is when the three political entities, the Governor, The Assembly, and the Senate decide, for political reasons to grant one. Now lets compare the City of New York financial condition in 2014 with New York State of 2011 and see why its "apples and oranges", when it comes to using the New York State contract as a pattern. The New York City economy weathered the recession quite well and entering into 2014, the City has been a magnet for economic growth and is the tourist mecca for the world. The City coffers are full and more people are entering the workforce as the City continues to grow in population. Furthermore, the stock market has risen over 30% and bonuses in the financial district will increase between 5%-10% this year. The economic outlook globally is expected to improve in the next couple of years, this can only further improve the City's finances since the City is one of the main areas that benefits from a rising global economy. Unlike the State, the City has a projected two year budget surplus of $4.3 billion dollars based on projections by the conservative Independent Budget Office. This surplus is based upon the existing level of unemployment, economy, and tax base. However, if the economy continues to improve, as it is expected to do, the City surpluses may be significantly higher than estimated. There is little doubt that the Municipal unions have more clout than their State counterparts. Police, Fire, Sanitation, and Teachers are an important component on how a City is evaluated by. The support by unions can "make or break" a politician and the labor connection is an important consideration for politicians who want to succeed in office. The poor showing by the Republican Mayoral candidate Joe Lhota shows how important it is to have labor support, he had none. Even billionaire Bloomberg needed to "buy the unions silence" by making sure they didn't oppose his third term power grab for it to succeed. For the City to claim that the State contract with their unions is the pattern is simply "apples and oranges" and not appropriate. The best way to start negotiations with the Municipal unions is to use the actual City inflation rate for the first four years (1% - 2.5%) of the contract (now 2.2% for 2013) and an estimate for the last year as a starting point to establish a new "City pattern". It's Time To Eliminate The Bureaucratic Bloat At The DOE. As the new year begins we have a new Mayor and Chancellor and while there are many priorities they must address. A new long-term contract, the ATR pool, revising the teacher evaluation system, and the elimination of the (un)fair student funding fiasco Once these issues are resolved, it's time for the new administration to address the bureaucratic bloat at Tweed and free up billions of dollars that can be used for educator raises and classroom resources. The question is where can the new administration cut the DOE bloat? Here are my ideas. According to the latest Comptroller report, the DOE has an astonishing $17.23 billion dollars of active contracts. Some of these contracts like busing and food services are necessary but many others have no school or classroom applications and are attached to high-priced consulting services which can be eliminated. If the de Blasio administration reduced the contracting budget by just 10%, it would free up $1.7 billion dollars. A 20% reduction would free up $3.45 billion dollars annually. The latest number I saw showed that the DOE spent almost $1 billion dollars on technology. Yet, school after school has inadequate broadband which to accommodate it and much of the technology is data driven (ARIS) and time consuming (SESIS). This area is another case of overspending with little application to the classroom. Therefore, some reductions are due. How about reductions of 25% or more that can free up another 250 million dollars annually. While the New York City Public School System has shown a reduction of 8,000 teachers (80,000 to 72,000) and a rising class size as more students enter the school system, the headcount at the Central Bureaucracy just increases. 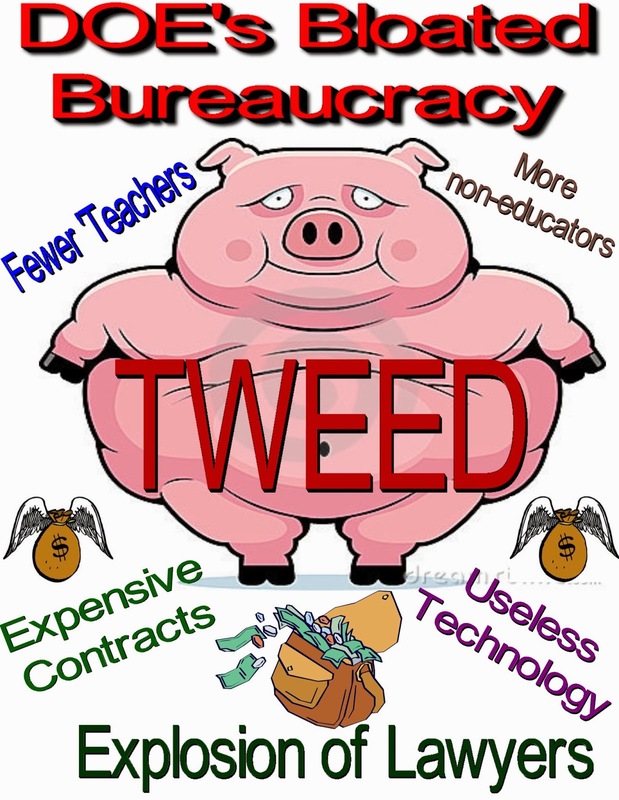 Tweed claims that they reduce their headcount but in reality they simply play a "shell game" by forcing schools and field offices to take on headcount that are really from the Central Bureaucracy. While it is difficult to ascertain the actual numbers because Tweed lacks transparency, there is no question that there has been an increase in non-educators in the DOE. The last numbers I saw showed that there was a 70% increase in headcount at the Central Bureaucracy since 2003. In City Council testimony during October 2012, Michael Mulgrew stated how a Deputy Chancellor bragged about how there was a decrease of 32% to school support services since 2006. Where did the savings go? Not to the schools. Instead it went to hire more consultants, managers and lawyers at Tweed, that's where. While I have no idea how much can be saved by streamlining and eliminating the redundant and useless bloat at Tweed, I suspect that $1 billion dollars would be a conservative figure for annual savings. The near useless Children First Networks (CFNs) cost millions of dollars and each school must "kick back" a teacher's salary to pay for basic coverage and even more if additional services are needed. While the elimination of these useless layers of Bureaucracy is necessary, a side benefit will be that the absorption of the CFNs back into the District Superintendent's Office will save millions of dollars. The ATR pool of over 2,000 excessed educators cost the DOE $160 million dollars annually. The new administration should declare an immediate hiring freeze and allow no exceptions. This would require principals to hire the ATRs and principals who refuse, would have their vacancy defunded as a penalty. Too many schools pay precious funds to these groups while guidance counselors and social workers go weekly in a useless ATR rotation. This must stop and maybe the school system can save some money in the process. The CFE funds should not be given to school principals but be used to open up more classes and hire more teachers to reduce class size. 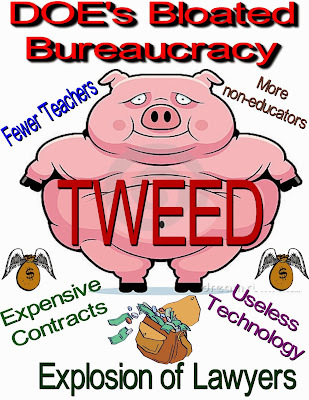 Tweed allows the principals to use the money as they please. Too many principals use it for other uses or to fill gaps in their operating budget, some of the uses are very questionable to say the least. The result is an unacceptable increase in class sizes. While this will not save any money, it would be a more efficient use of direct services to students and the classroom. In conclusion, I believe that a conservative estimate in yearly savings would be close to $3.2 billion dollars and that would easily pay for UFT and CSA retroactive raises (about $3.5 billion dollars and an additional $900 million dollars annually going forward) as well as any new contract, if the retroactive pay is stretched for a three year period. The remaining savings should go to the schools and in particular to reduce class sizes and hire additional teachers to achieve that goal. Santa Claus's Experience As A Weekly Rotating ATR. 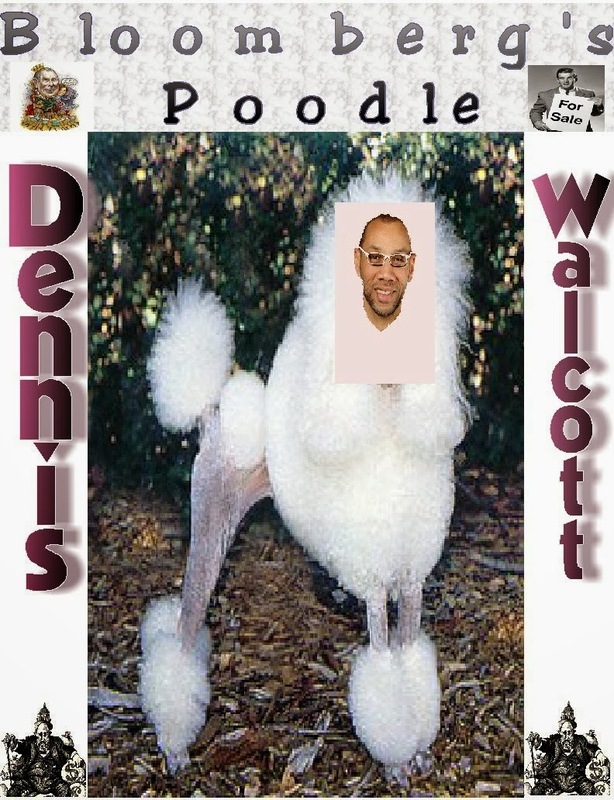 It's Christmas once again and the very best present the New York City Public School System will receive when they go back to the classroom will be that the "Grinch", Mayor Michael Bloomberg and his "poodle" Chancellor Dennis Walcott will be gone. However, the damage they did will take nearly a decade to correct. 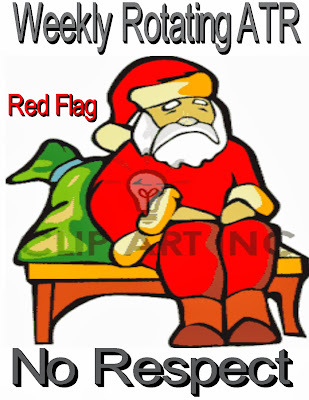 This article will talk about the experience Santa Claus has had as a rotating ATR in his weekly assignments. Santa Claus has been an ATR for the last two years and because of his salary and age, cannot land a position in a school because of the "(un)fair student funding formula" and age discrimination. Thanks to the UFT who agreed to the weekly ATR assignment travesty, poor Santa finds himself traveling from school to school in his District in a futile attempt to find a permanent position. Previously, I chronicled Santa Claus's experience with the New York City Schools under Mayor Bloomberg. First, how Santa Claus was subject to a biased SCI investigation and terminated in his 3020-a hearing, Here and Here. Then how he won his appeal in the courts only to find himself in the ATR pool rather than getting his position back Here. Santa Claus is used to traveling since once a year he travels around the world giving gifts to all the children but traveling weekly from school to school in his District made little sense to him. Each school he went to, he felt like "a stranger in a strange land". The school administration treated him with either disdain or was ignored. The school secretary would always try to give him a "sixth period" if he didn't object or make him do hall or cafeteria duty that no other teacher did in the school. Few schools supplied him a key to the bathroom and a place to store his stuff. Most times the Chapter Leader never sought him out and in some schools there was no Chapter Leader. Santa Claus also found that when he asked if there was parking for his sled, he was told that "ATRs cannot park in the schoolyard or garage like our teachers". One week Santa showed up to a "D" rated school which needed a Social Studies teacher with knowledge of Geography and Global History. "What a stroke of luck", Santa Claus was perfect for the job. However, when he met with the Principal, the Principal told him that he had a red flag on his file and that his CFN told the school not to hire anybody that had a substantiated investigation. However, the Principal admitted to him that it would have been difficult to hire him because his CFN wanted him to hire new teachers who were 21st century thinkers and he didn't fit into that world. Santa instantly knew that the Principal really meant that the schools can only hire the "cheapest teachers" under the "(un)fair student funding formula". Santa Claus is hopeful that under the de Blasio Administration, he will be able to land a permanent teaching position and help his students in understanding the world instead of being treated as a substitute teacher and disrespected by the school administration. Maybe it really will be "children first". How Mayor Bloomberg, "The Grinch", Stole Christmas From Municipal Workers. We all know the story about the "Grinch". Yes, that evil thing that wanted to destroy Christmas and the holiday spirit but failed. 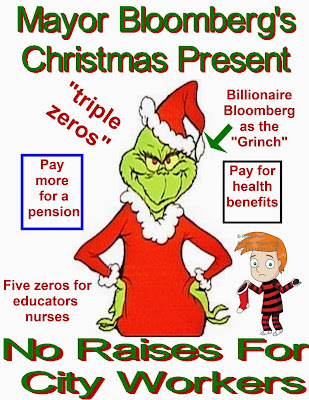 Now municipal workers have one more holiday season to suffer through with their own "Grinch", Mayor Michael Bloomberg. While the Mayor continues with his "legacy tour" on how he remade the City and how great he is, the collateral damage he has left behind is very evident. He has left a "tale of two cities" where the rich thrived while poverty increased. Where Manhattan and parts of Brooklyn became attractive economic engines of change while the outer boroughs, especially the Bronx, were left behind. As for the schools? His educational legacy turns out to be all "smoke and mirrors". In his twelve years under his direction, the schools have shown little or no improvement. However, the greatest injustice by Mayor Bloomberg is how he treated the municipal employees when it came to negotiating "fair contracts". Even when he agreed to a "City pattern", he felt free to ignore it when he saw fit. Therefore, educators and nurses were screwed out of two 4% raises that all other unions received. His disdain for the municipal workers would show up time and again. Now he decided that the next budget should include a five year contract patterned on New York State's 2011 agreement with their unions during the recession which included "triple zeros" and 2% raises in the last two years. Except, according to the Mayor, it should be 1.25% for the last two years. In addition, any pay raise would have to be offset by employee payments into their health and pension plans. The result, is that as the City reports at least a 4.3 billion dollar surplus for the next two years, he treats the municipal unions like the City is in a recession. For the Mayor it has always been a "tale of two cities" "the haves and have not". For the municipal workers, they are part of the "have not". Yes,, for us Mayor Bloomberg is certainly the "Grinch". Why The De Blasio Administration Can Afford To Give The Unions Retroactive Raises. As predicted ( I wrote about it last week), the Independent Budget Office (IBO) has revised the New York City financial budget and found that this year's budget will result in a 2.4 billion dollar surplus. Using reasonable projections for the 2014-15 fiscal year, they anticipate a 1.9 billion dollar surplus. Since the IBO is known to be very conservative in their projections, as required by the legacy of the 1970s near bankruptcy of the City, its probable that the two year surplus are even larger. With an ever improving national economy, meaning more economic growth for the City and a rising stock market, its generally agreed that the recession and its negative effects are receding and that the City can expect larger surpluses than predicted. That brings me to the eventual contracts with the municipal unions. Depending on what organization and their political affiliation, the municipal contracts, including full retroactive raises, will range from 4 to 8 billion dollars. On the low end, that would eat up the two year projected surpluses and on the high end it causes a real problem. If we look at what it will cost the City, it appears that for all unions, assuming a 1% retroactive raise for the 2011-12 and 2012-13 fiscal years, it will cost the City approximately 1.85 billion dollars. Well within this year's and next year's projected surplus. 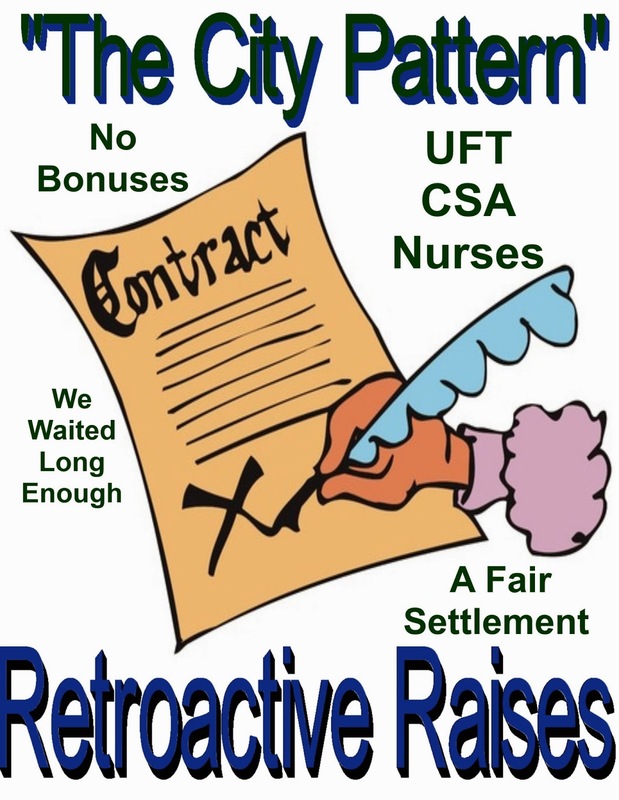 However, that does not include the "City Pattern" that almost everybody agrees will be the result of the Nurses binding arbitration and the teachers non-binding arbitration awards. How can the City pay for it? According to the City Controller's report, the City will take a big hit and its estimated that it will cost the City 3.5 billion dollars and another 900 million dollars for the next year. That part of the report is below. The labor contracts for the United Federation of Teachers (UFT) and the Council of School Supervisors and Administrators (CSA) are one round behind the contracts of the City’s other municipal unions. The City and the unions were unable to reach an agreement in the 2008 – 2010 round after the City proposed a settlement with no wage increases. The other municipal unions had settled for a two-year contract with 4.0 percent increases in the beginning of the first and second year of the contract. The New York State Public Employment Relations Board (PERB) is in the final stage of a fact finding process that was initiated to resolve the deadlock between the UFT and the City. PERB will shortly hold a final hearing on wage increases for UFT members and then issue a report detailing recommendations for a contract resolution. While PERB recommendations are not binding they have served as a framework for final labor contracts with the UFT in the past. A recommendation patterned after the labor agreements of the other municipal unions will cost the City approximately $3.495 billion in FY 2014, including retroactive cost, and $900 million annually beginning in FY 2015. Obviously, the City could not afford this hit on their next budget alone but it could lessen the hit by extending the payment of the retroactive raises for three years. This would allow the City to reduce the burden and fit into their ever improving budget. Furthermore, what's forgotten is that the UFT agreed to give up 0.58% to get back the two days before Labor Day and that needs to be factored in. 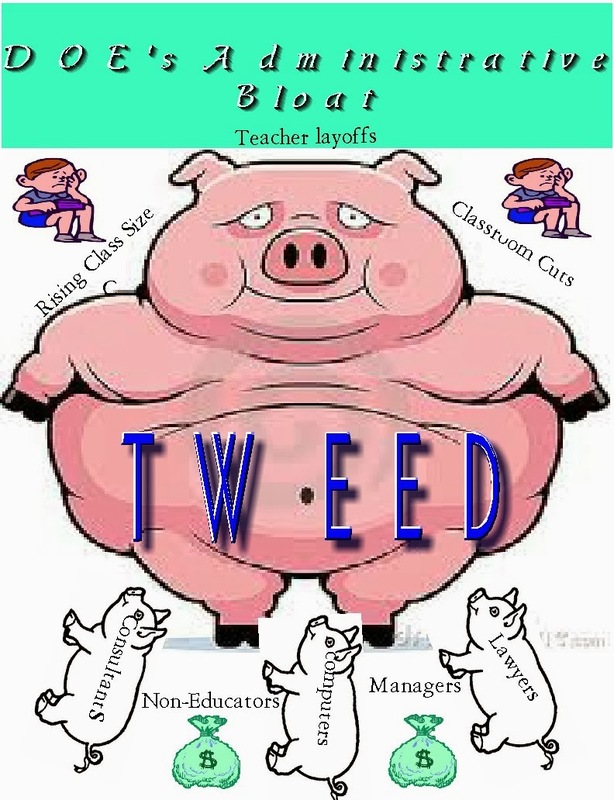 Finally, the DOE budget is bloated or you can read what a Tweed insider said about the bloat and the savings from their 25 billion dollar budget can be used both for teacher salaries and direct classroom resources. Finally, the City's proposed contract, based upon the 2011 New York State agreement with their unions is "apples and oranges". New York State was in worse financial shape than the City and since that time, the recession fears have all but disappeared and the economy is on the upswing. For the municipal unions to agree to a "triple zero approach" in a five year contract is not applicable in 2014. 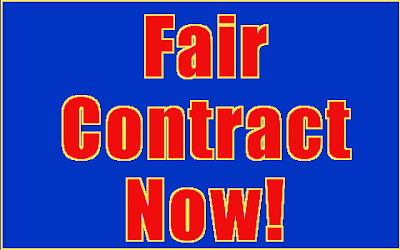 While, I understand that the damage done in the Bloomberg last term that resulted in all unions having lapsed contracts, the members should not be punished any more by accepting inferior contract settlements. Granted, the City and the unions will need to be creative and the contract raises may have to be stretched out, but bonuses instead of retroactive raises and "zeros" should not be an option. What Place Should Be Renamed For The Outgoing Chancellor? The Teachers Room Toilet. A prime example of when a school's Principal does not collaborate with his or her staff is found at Francis Lewis High School, where the new Principal, without even bothering to discuss it with the Chapter Leader or the consultation committee, decided to honor outgoing Chancellor Dennis Walcott, by renaming it the "Dennis Walcott college office. The letter objecting to giving the Chancellor this honor was sent to the Principal by the school's Chapter Leader Arthur Goldstein and can be found on the nyc educator blog. While its the right of the Principal to rename parts of his school as he pleased, I must question why the Principal would rename the college office for a Chancellor that oversees a school system where only 22% are "college ready" and the latest available statistics showed that 23% needed "triple remediation" in college. 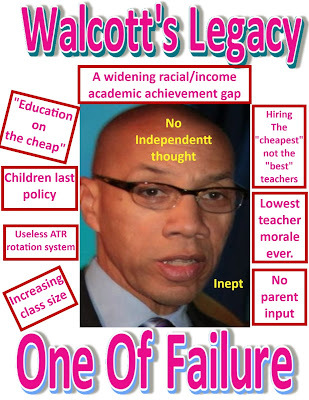 The Chancellor's "legacy of failure" makes it puzzling that the Principal would ignore his staff and bestow that honor on Dennis Walcott. A punitive evaluation system that looks to terminate teachers. Forces schools to hire the "cheapest" not the "best" teachers. Hypocrite when it came to disciplining teachers and administrators. An unacceptably wide student achievement gap. 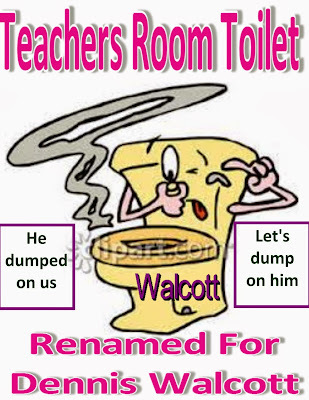 Therefore, I propose that the most appropriate place to be renamed for Chancellor Dennis Walcott, is the teachers bathroom toilet where we can sit on when we take a dump. Why The Flat City Scores On The NAEP? The Answer Is The Lack Of Quality Teachers And Rising Class Sizes. It came as no surprise to educators that the results from the 2013 National Assessment of Educational Progress (NAEP) test showed "NO SIGNIFICANT INCREASE IN STUDENT PROGRESS" since the last NAEP test back in 2011. Moreover, the academic achievement gap between Asians/Whites and Blacks/Hispanics showed no narrowing and is as unacceptably wide as ever. Finally, during the entire Bloomberg tenure from 2002-13, the eighth grade NAEP results have barely budged while the fourth graders improved only one grade level in Math and Reading. To say that the Bloomberg educational legacy is a "mixed bag" is putting it kindly. Why is there so little academic improvement, when using the NAEP test results, known as the "gold standard" for education? The answer is quite simple. Under Mayor Bloomberg's "education on the cheap" program, schools cannot hire the "quality teachers" that make a difference in a child's academic achievement. 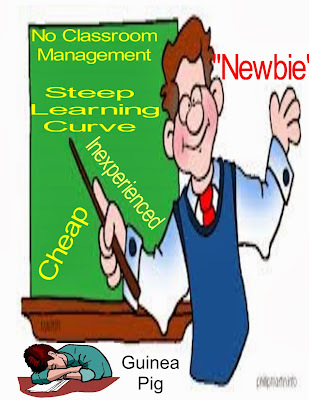 Instead under the "(un)fair student funding formula", schools hire the "cheapest teachers", usually inexperienced "newbies" who have no classroom management skills, lack deep curriculum knowledge, and many are unable to have the "passion to connect with the students". In fact, 50% of these "newbie teachers" will leave the teaching profession within five years and many more will leave by taking a less stressful and higher paying position in the suburbs or leave the classroom for Administrative jobs. Furthermore, class sizes have increased during the Bloomberg Administration's control of the New York City Schools with over three additional students added to the average class and even higher for the lower grades where class size is most important. Even when the State was required to add extra funding to the New York City Schools as part of a lawsuit. The Bloomberg Administration gave it to the DOE to do as they pleased without targeting it to reduce lass size. The result? The money went for other things and class sizes actually rose! Yes, the DOE budget doubled during the Bloomberg years but the funds went for expensive programs supervised by high-priced consultants, technology that was not classroom applicable, and adding unnecessary services that Tweed makes the schools pay for out of their tight budgets. In fact, since 2007 the average school budget has dropped 14%. Why didn't the New York City 4th and 8th grades show significant improvement in the 2013 NAEP tests? It's the lack of "quality teachers" and rising class sizes that has resulted in Mayor Bloomberg's "education on the cheap" policy. WNBC 4 And The Daily News Wants Your Stories On Student Attacks On Staff And Dangerous Schools. 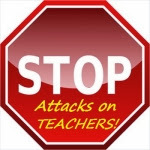 I received an e-mail from a colleague that asked if I would use my blog to help WNBC 4 to investigate student attacks on teachers that the school Administration either minimizes or refuses to report for fear of the bad publicity and a lower school grade. If you experienced such an attack or saw a colleague attacked by a student and nothing happened to the student or was covered up by the school, then please contact Jonathan Vigliotti at WNBC 4. You will remain anonymous so that the Administration or the DOE cannot retaliate against you. Jonathan Vigliotti seems like the real deal and he produced this fair piece just last month that you can find on my blog previously. Here. Ben Chapman of the New York Daily News and Daniels Royes of ABC 7 wants to hear from teachers who work in "dangerous schools" where the Administration refuses to provide a safe and secure environment for their staff. Personally, I don't trust Ben Chapman who failed to do proper "fact checking" on an article dealing with me. However, if you believe that your school is a "dangerous school" than let him know and hope that his journalist skills have improved since the Spring of 2012. The Real Truth About Mayor Bloomberg's Education Improvements. 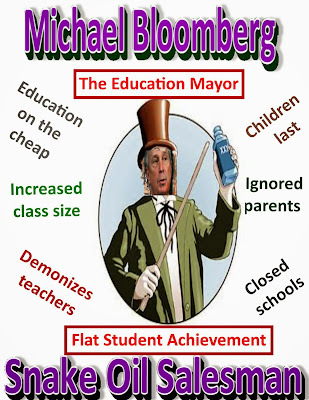 Mayor Bloomberg is making the rounds proclaiming he he has improved the New York City education system. However, his so called accomplishments are really "smoke and mirrors" and his claims fall apart under scrutiny. Let's look his claims and what I think is the truth. In his propaganda pamphlet he calls his education policy a success. Mayoral Control Of The Schools: His dictatorial control of the Department of Education made the PEP a "rubber stamp" and a joke. The PEP meetings are remamisent of Nazi Germany and the Soviet Union under Stalin rather than the Democratic and "fairness" principals we all grew up with in this country. How is that educational progress? Raising Student Performance: He shouts about the improved graduation rate but fails to mention how the "graduation rate" was greatly affected by the use of "bogus credit recovery courses" and the pressure for grade infrlation by principals. The resut is that the student "college and career readiness" rates show only 22% of the graduates are "college ready" and 50% come from only 35 high schools, many of them specialized and screened schools. Furthermore, the actual achievement gap between Asian'Whites and Blacks/Hispanics are higher then when he took office. Promoting Teacher Excellence: He boasts that he increased the hiring of STEM (Math and Science teachers since its important for students to have certified Math and Science teachers. However, if that's true why are there hundreds of Math and Science teachers rotating weekly in the ATR pool? The teacher evaluation system does not make for good teachers but will allow unscrupulous administrators to target teachers they don't want or like. Finally, the Bloomberg Administration practiced an "education on the cheap" policy when it comes to meeting the NCLB definition of a "highly qualified teacher". Instead it was getting the cheapest teacher not the best at the expense of the students. Empowering Principals: He takes credit for the " Principals Leadership Academy" but many of their principals have little or no NYC classroom experience, unable or unwilling to collaborate with their staff, and are on top of the most despised principals on the DOE's Learning Environment ratings. Moreover, many principals hire the "cheapest" and not the "best teachers" for their school and the school's students are the real losers when 50% of these teachers quit or are terminated in the next five years. Finally, the near useless and money-sucking "Children First Networks (CFNs) minimizes community and parent interaction with the schools and hopefully will be eliminated next school year. Holding Schools Accountable: Making school grades that are based primarily on test scores and are considered worthless by most educators. Moreover, his failing schools policy frails the "means test". The Bloomberg created small schools were given extra funding, screened out "high needs students" and to make them even look better "stacked the deck" against the struggling large schools by dumping the "over the counter" students, many of them "high needs", on the already struggling schools. Increased Classroom Funding: This is a very misleading statement. Yes the Bloomberg Administration did cut the Central Bureaucracy and did increase total funding to the DOE but the schools actually saw a 14% reduction in funding since 2007. Much of the extra money went to high priced consultants and their programs, technology that had little or no classroom application, and the DOE's policy to require schools to fund services that the Central Bureaucracy had done before the Bloomberg years resulted in simply a "shell game"" to make it look like the Bureaucracy was cut but went to other DOE uses instead. Furthermore, class sizes are the highest in a decade.so it certainly did not go into the classroom. In addition, The "fair student funding formula" ushered in an "education on the cheap " program for staffing the schools.. The result was that principals hired the "newbies " and not the "quality teachers" they so desperately need for their student's academic success. The result is an ATR pool of 2,000 + members, many of them excellent teacher but cannot be hired because of their salary and age. If the media should do some real "fact checking" they too would find that Mayor Bloomberg's educational improvements is simple a "mirage". 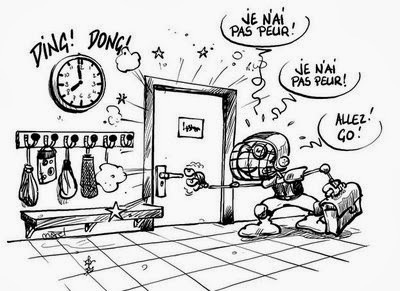 Of course, I will not hold me breath waiting for that to happen. Will Michael Bloomberg Be Known As The "Education Mayor"? The Answer Is No! There is little doubt that as Mayor, Michael Bloomberg has remade the City of New York into his own image. However, the billionaire Mayor, being part of the 1% has made his accomplishments a "tale of two cities". The one with power and money, where every billionaire should live (according to the Mayor) and the other 99% struggling paycheck to paycheck and a rise in poverty. While, the Mayor's legacy is a "mixed bag", his ambition to be known as the "education mayor" is a failure. 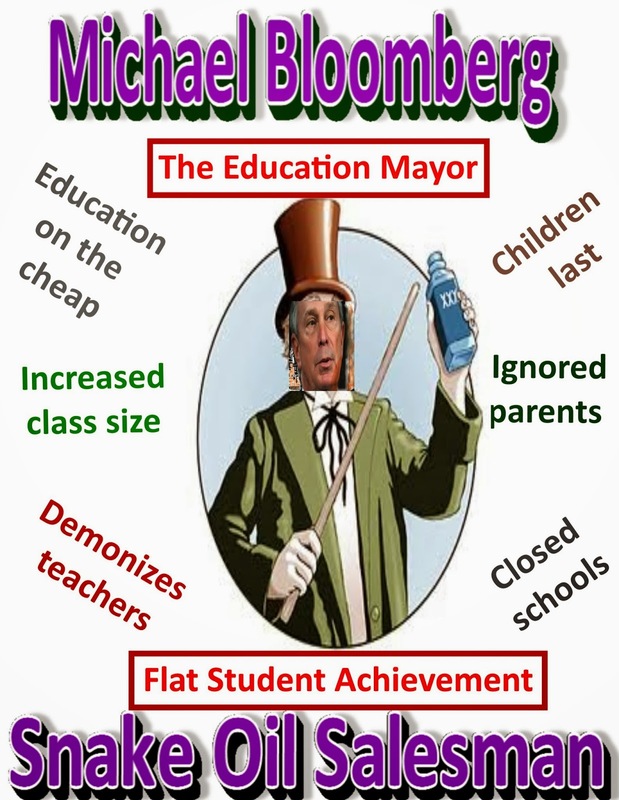 Let's go over the major reasons why Michael Bloomberg will never be known as the "education mayor". "Highly qualified teacher" is a teacher that is fully credentialed, has expertise in their subject matter, and is experienced. However, under Mayor Michael Bloomberg, schools are forced to hire the "cheapest" and not the "best teachers". 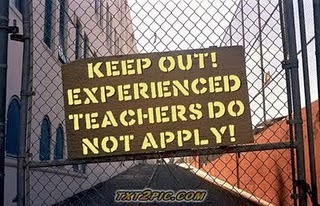 Therefore, the teachers being hired by the schools are not "quality teachers" as defined by NCLB. Consequently, under Mayor Bloomberg's Administration teacher inequality is an ongoing problem and violates the NCLB requirements. Class Size: As Mayor Bloomberg leaves office, the New York City schools suffer from the largest class sizes isince he took office. Worse yet, the CFE won a suit to lower class sizes and received more funds from the State, he diverted the money that was to go to lower class sizes to the DOE to do as they pleased with the money. The result, class size has actually risen rather than fall as Tweed used the money for other uses. New York City has the largest class sizes in the State and thanks to the Mayor, that's not going to change this school year. ATR Pool: Over 2,000 + teachers are in excess due to closing schools, declining enrollment caused by the Bloomberg Administration's charter schools program, and teachers who survived their 3020-a termination hearings, are without classrooms and are used as "glorified babysitters". With schools suffering from tight budgets, lack of resources, and large class sizes, its unconscionable that the Bloomberg Administration wastes all this talent. Putting the ATRs back into the classroom can solve the three issues identified previously, "quality teachers", students last, and "class size" . All these issues can be addressed within the existing DOE budget by setting up a procedure to give the schools an incentive, along with an enforceable hiring freeze to hire the ATRs, many of them "quality teachers" to the close to 5,000 vacancies that are available for the next school year. However, the Bloomberg Administration rater demonize these teachers and waste $160 million dollars annually than help the students or meet the NCLB requirements for teacher equity. Student Academic Achievement: The twelve years of the Bloomberg Administration saw three Chancellors that weren't educators and needed a waiver due to their lack of credentials. The result was an increasing disconnect between the" teachers in the trenches" and the non-educators at Tweed. The result was little, if any real student academic improvement and a graduation rate that relied way to much on bogus "credit recovery programs" as well as an administrative pressure in passing students that didn't deserve to graduate. The result was that only 22% of the New York City graduates were "college and career ready" and 50% of them came from the top 10% of the schools. As for the Bloomberg small schools? Their "college readiness rates" were no better than the average large comprehensive school and in many cases worse. Most importantly the Administration's claim that they will reduce the racial/income student achievement gap has failed in their mission and in fact, may actually have widened over the Bloomberg years! While the Mayor may claim he has improved education, the facts show a much different picture that he tried to reshape the education system to his vision of the world at the expense of the public school students. The education mayor? Not in this world. 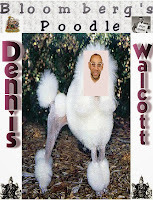 The Real Legacy Of Chancellor Dennis Walcott. A Legacy Of Failure. I had a real good laugh reading Chancellor Dennis Walcott's claim that he had a successful reign and improved the New York City school system. In fact, Chancellor Dennis Walcott has shown to be a failure and he simply was a "yes man" for the Mayor. 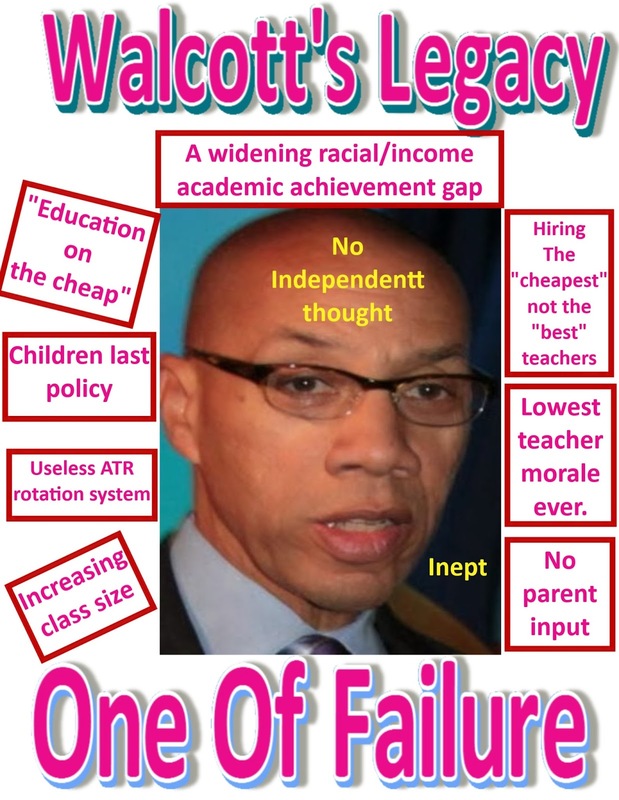 This post looks at the legacy of Dennis Walcott in his almost three year tenure as Chancellor and his failure in improving the New York City Public School System. Let's look at his failure as Chancellor. Quality Teachers: Under Chancellor Dennis Walcott, school principals found themselves forced to hire the "cheapest" and not the "best" teachers for their students. His insistence that teacher salaries come out of the school budget hurts the schools and the students. While schools are forced to hire inexperienced "newbies" who may never make it as a teacher and in the process makes those students "guinea pigs" to untested teachers, the ever increasing ATR pool is populated with many highly experienced "quality teachers" who are nothing more than act as a "babysitter" as they rotate weekly to different schools. Class Sizes: In the three years that Dennis Walcott has been Chancellor, class sizes have increased every year. Worse yet, the greatest increases are occurring in the lower grades where class size is of most importance. It's unforgivable that our youngest students are subject to the ever increasing class sizes that interfere with real academic achievement. Staff Morale: There is little doubt that under the tenure of Dennis Walcott, teacher morale continued to deteriorate. Lack of a contract. additional paperwork, his "blame the teacher" philosophy, and increased pressure from Tweed on schools have worsened the classroom environment and made it more hostile. His support of the teacher evaluation system and the punitive aspects of the Danielson framework known as a "gotcha system" to terminate as many teachers as possible and making it a living hell for the classroom teacher. Its little wonder his approval ratings is in Cathie Black territory. Widening of Academic Achievement Gap: Despite his claims that he has improved student academic achievement, the fact is that the student academic achievement gap has widened between Black/Hispanic and Asian/White cohorts. His much ballyhooed claim that he has improved student academic achievement is laughable. In fact, the Annenburg study showed that the zip code is the most important factor in student academic achievement. Lack of Parent Input: When Dennis Walcott took the job as Chancellor, he claimed that he will bring parent input into the process. However, he failed to live up to his promise and parents have felt alienated and left outside the loop. His attempt to use parent coordinators to lobby for the Mayor's LIFO bill was an example how he wanted to use parents rather than listen to them. Lack of Independence: One of the most obvious outcomes of his tenure was his lack of independent thought or deed. He simply was the "yes man" for the Mayor. Or as I have said many times the "Mayor's poodle". Even when he proposed some initiatives such as agreeing to a teacher evaluation system and an ATR buyout offer, once the Mayor showed disapproval, they disappeared. His unquestioned support of anything Mayor Bloomberg proposed made him untrustworthy in the eyes of educators and politicians throughout the school system and even the City Council wanted him to go to jail and required him to take an oath before he testified, a highly unusual and insulting request. The bottom line is that under Chancellor Dennis Walcott's tenure he has practiced "education on the cheap" and "children last" policies that has hurt the very students he pledged to protect and continue the destruction of neighborhood schools while throwing more money to charter schools. Worse, his lack of independent thought or deed and his unquestioning of support on whatever the Mayor decrees is not what a Chancellor should be. His failure to work with both the UFT and CSA during his tenure was highly disappointing. If I was to give the Chancellor a grade it would be a big fat. "F"
Is The UFT Going To Sell Us Out On Retroactive Raises? "Both the unions and the mayor want to remove a sharp thorn that will press deeply in the flesh until it is removed. How do you find a path to both a percentage increase, four years of retroactive dollars, sharply accelerating city health plan costs and the myriad details of contracts? While I have absolutely no participation in the negotiations in the past retroactive dollars were paid as “non-pensionable” cash payouts and spread out over a couple of budgets". Furthermore, here is how Peter responded to my objections about non-pensionable raises. I must object to one of your suggestions, especially the non-pensionable retroactive raises. While its true this has happened in the past under Randi Weingarten, she is no longer in charge to sell us out. I hope Michael Mulgrew insists on pensionable retroactive raises that Michael Bloomberg refused to give us. Whether the retroactive rate is 2, 3 or4% the retro dollars could range from 4-8 billion, a sum well beyond the cities ability to pay in a single budget. With de Blasio attackers accusing him of bankrupting the city even before he is sworn in retro pay will require a nimble solution. Employee health plans costs are increasing at more than 10% a year – I believe Mulgrew has a narrow window to negotiate key non-fiscal matters for some creative solutions to fiscal issues. If I am putting Peter Goodman's blog and his response to my comments together with the Reuters article on the ICEUFT blog, I am extremely worried that our union will be negotiating bonuses rather than retroactive raises. Here is why replacing retroactive raises with bonuses its unfair to the members. Salary schedule remains unchanged rather than adjusted like other unions. Ignores the "City pattern" and sets a precedent for further abuses in the future..
Mayor Bloomberg can claim victory as UFT members are shortchanged with a grossly inferior contract and a loss of substaintial salary going forward. While I can understand that our union must show some flexibility and spreading out the retroactive raises through a two or even a three year period is understandable, there is no way our union can capitulate by getting an inferior contract that further harms the members. According to Ronnie Lowenstein of the Independent Budget Office who has hinted that the "balanced budget" that Mayor Bloomberg is using is based on under reporting revenues and that her office will be issuing a report showing a surplus which means that the de Blasio Administration will have more funds to pay the long delayed retroactive raises. To me there is no reason for our union to settle for less than the "City pattern". What If The UFT Called Mayor Bloomberg's Bluff In Layimg Off The 4,700 Teachers Back In 2011? Back in 2011, Mayor Bloomberg threatened to lay off 4,700 teachers as the City was slowly crawling out of the recession. A major part of his threat was to have the law changed on who gets laid off. However, his attempt to change the "last in, first out" (LIFO) failed and if the Mayor had tried to follow through, the New York City schools would have had to eliminate the "cheapest teachers", the "newbies". Once the Mayor lost the LIFO battle, he was not laying off anybody and most people knew that. However, our union "snatched defeat out of the jaws of victory" yet again and caved into the Mayor's demands and eliminated teacher sabbaticals for the 2011-12 school year and allowed the DOE to impose the idiotic and asinine ATR rotation system that saves little money and a wastes a lot of talent. What would have happened if our union had called the Mayor's bluff? Let's look at the two possible scenarios. Scenario #1: The City would have laid off the 4,700 "newbie teachers" as the layoffs are by seniority ranking. The result would be that principals would have two choices. They could keep the now suddenly vacant positions unfilled but that would severely hurt the students. Or the most likely effect would be to hire the ATRs and demand that the DOE help pay the cost. 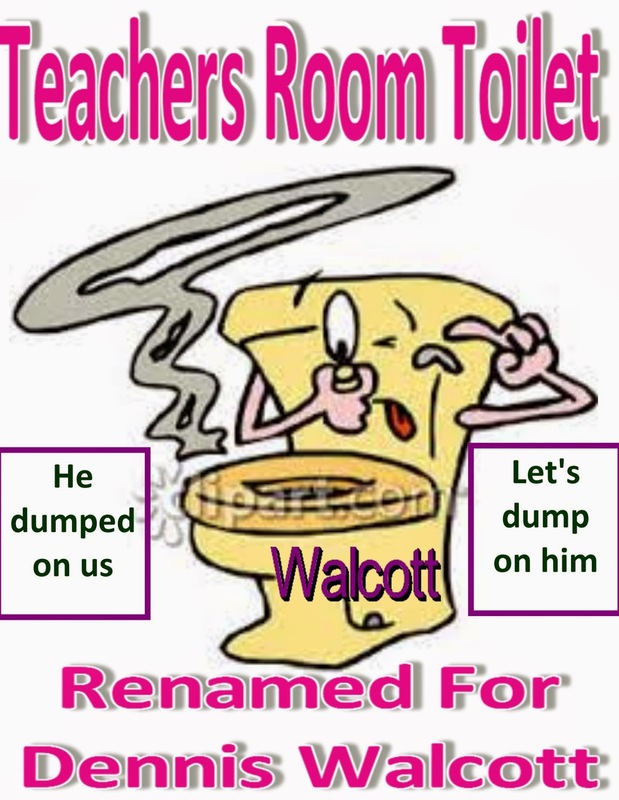 The result, would be the elimination of the ATR pool and the reintroduction of experienced and in many cases, "quality teachers" back into the classroom. The good part of this is that the ATRs would not be "forced placed" but apply for the positions that they believe they are "a good fit" for as the principals compete to hire the many "quality teachers" to their classrooms. In this scenario the students win because they are no longer the "guinea pigs" for the many "newbie teachers" who have no clue how to teach and half will leave the teaching profession in five years. Instead the students will thrive under highly experienced teachers with good classroom management skills and deep curriculum knowledge guiding them to academic success,. Scenario #2: Mayor Bloomberg's layoff bluff is called and he retaliates against the UFT by reducing school budgets, raises class sizes, closes more schools, and refuses to negotiate a contract. Furthermore, he blasts the union and demonizes teachers by refusing to issue tenure and to implement policies to terminate as many teachers as possible. Moreover, he would try to eliminate teacher "due process rights" while lowering the already low morale and making the classroom environment as hostile a place as possible. Finally, he imposes the "education on the cheap "policy that forces principals to hire the "cheapest" and not the "best teachers" for their students. In this scenario. the students lose because of higher class sizes, lack of resources, and inexperienced teachers who have no classroom management skills or curriculum knowledge. Come to think of it had our union not capitulated to Mayor Bloomberg's bluff, nothing would have changed from scenario #2.. Except we would not have lost our sabbatical rights for a year and the ongoing and ridiculous ATR rotation system that wastes $160 million dollars a year and demoralizes those 2,000 + teachers who must rotate from school to school. To the union leadership, good job, once again in screwing the members. Why Does The DOE Violate Chancellor's Regulation C-770 When It Comes To Reassigning Teachers? For some reason high-profiled teachers that the DOE has reassigned for alleged misconduct and awaiting their 3020-a hearings are being sent to different Boroughs from the schools that they are removed from. 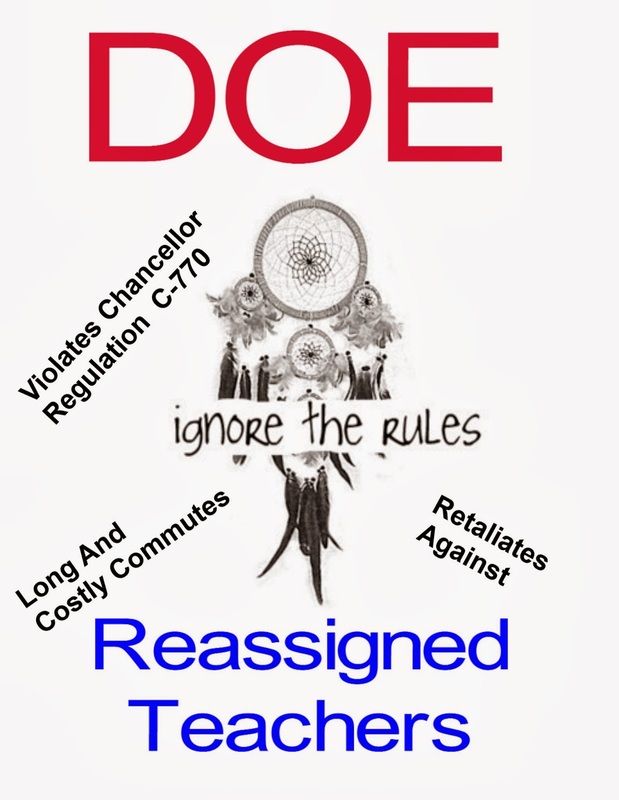 This is in violation of the DOE's own regulations called Chancellor Regulation C-770. Furthermore, this violates the spirit of the DOE/UFT contract that requires reassigned teachers be placed in their Districts or Borough Offices. 5. Assignments for Suspended Employees Suspended employees are to be assigned within their own districts or divisions. Requests for a temporary change of assignment because of extraordinary circumstances must be directed in writing to the Executive Director of the Division of Human Resources, with supporting statements for the request. The Executive Director shall confer with the Office of Legal Services regarding this request. The employee is not to be reassigned from the district or division until written authorization has been granted. The key here is the word "extraordinary". The meaning of "extraordinary" is defined as"very unusual, and very different from normal". You would think that the DOE would have to prove that forcing a reassigned teacher to travel to another Borough meets that definition. Instead if you are a high profiled blogger like Francesco Portelos, or South Bronx School, they retaliate against them by making them travel to a different Borough to sit and shuffle papers, if that. This form of DOE retaliation must stop and the NYSUT attorneys must bring this up to arbitrators as being vindictive and a disparate treatment to their client. If the DOE cannot follow their own regulations then they should be punished for their abuse of power. Nothing less would suffice. Teachers Disrespected And Attacked And The DOE Does Nothing About It. A teacher with 20 years of teaching experience was supervising the detention room at Wings Academy in the Bronx when he was attacked by three students in the room. The teacher, Reynaldo Felix called for assistance from School Security and the NYPD. Only the NYPD responded to this vicious gang attack in a timely fashion. Where was school se3curity? The result was the Mr. Felix suffered a cracked jaw from the female student punching him in the face and a fractured spine from the three students pinning him down and kicking him. What was the response by the school administration to the vicious gang attack? They tried to minimize it and wouldn't suspend two of the three attackers on Mr. Felix. In fact, Mr, Felix went to the courts and obtained an "order of protection" only to find out the school administration refused to honor it, telling Mr. Felix that schools are exempt from its enforcement. Frustrated, with the school administration and the DOE's inaction, he filed an assault charge with the police against the three students who attacked him. Was this an isolated incident? Afraid not,NBC News 4/s I-team interviewed seven teachers who said the school hides many violent incidents and puts their teaching staff at risk for their safety. In their interview Ms. Nucian Butler, a Biology teacher, stated that school administrators are putting the teachers in jeopardy by not holding troubled teens accountable. The DOE claims they are conducting a full investigation and will take the appropriate action once the Office Of Special Investigations finishes their investigation. Knowing how corrupt and unfair the DOE investigators are, I wouldn't hold my breath in making either a timely or fair decision. The entire NBC News 4 I-tean interview can be found Here. Update: Apparently the Principal at Wings Academy resigned on December 6th according to a commenter on this blog. I guess ex-Principal Lorraine Gutierrez will show up somewhere else in the DOE, probably at a useless CFN where all reassigned principals appear to land. The Education Reformers "Talk The Talk" But Fail To "Walk The Walk" When It Comes To Having A Quality Teacher In The Classroom. According to the Education Reform organization handbook the most important factor in a child's academic development is not poverty, nor is it the dysfunctional family environment, and it certainly it's not the social-economic conditions affecting the child, its the quality of the teacher the child has in school. You might laugh at this ridiculous assumption but when these Education Reformers actually gain control of the school system their "talk to talk" fails to "walk the walk" when it comes to providing a "quality teacher in every classroom". A prime example of how the education reformers talk out of both sides of their mouths is when reformer heavyweights Mayor Michael Bloomberg and Chancellor Joel Klein gained complete control of the New York City Public School System. This was their chance to show that by putting "quality teachers in every classroom" will result in a narrowing of the income/racial academic achievement gap and raising educational standards. In other words, its time to "walk the walk". Unfortunately, given the opportunity to "do the right thing" and put a "quality teacher in every classroom", instead they did the exact opposite and implemented an "education on the cheap" policy. The New York City School System under these two "heavyweight education reformers"encouraged schools to hire the "cheapest" and not the "best" teachers. Is it any wonder that during the entire tenure of these two education reformers that the academic achievement of the New York City Public School students has remained flat and the academic achievement gap has actually widened! Yet, the Bloomberg Administration will falsely claim that they are hiring "highly qualified teachers" That's because under the Obama Administration, led by Secretary of Education Arne Duncan they provided waivers under "No Child Left Behind" (NCLB) that exempted schools from hiring "quality teachers". Under NCLB all schools should have teacher equality and all teachers must be "highly qualified". To NCLB a "highly qualified teacher" is a teacher that is fully credentialed, has expertise in their subject matter, and is experienced. Just the opposite that the Teach For America's "two year wonders" or the "one and done" Teaching Fellows brings to the schools. 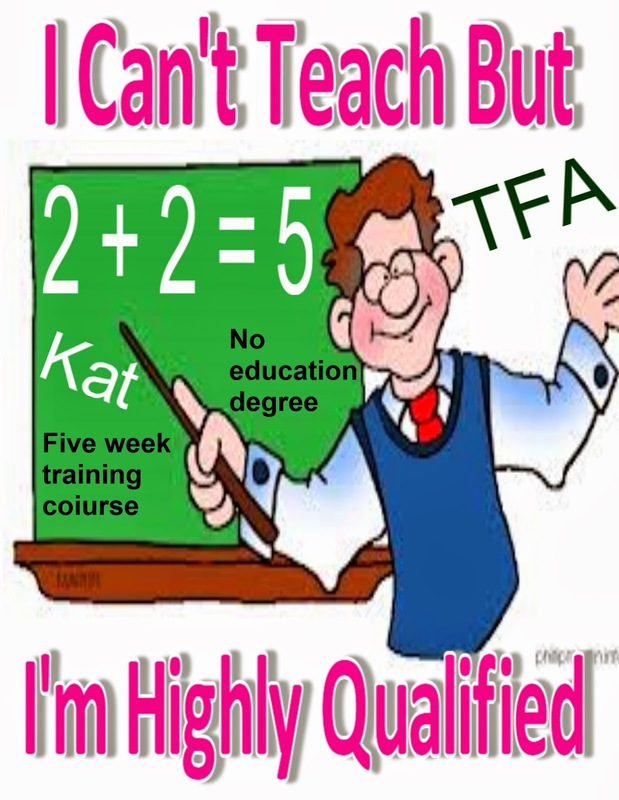 However, New York City, like many other school districts across the country took advantage and were given waivers that allowed the school districts to hire "newbie" and alternate certification teachers in mass and fool the parents and subject their children to inferior teaching by claiming they are hiring "highly qualified teachers". Unfortunately, for political reasons, the Federal Department of Education has "dragged their feet" in showing if teacher equality has been abused by the waivers granted. To date there are no statistics on the distribution of "newbie" and teachers in training (Teach For America) instructors in the schools that they are required to do by Congress. However, California did provide a study that showed that schools with a poor and minority population have twice the number of teacher in training and other alternate certification instructors leading a classroom when compared to other schools. The bottom line, when Education Reformers take control of a school district instead of practicing what they preach, a "quality teacher in every classroom", they find a way around that slogan and in many cases encourage the schools to hire the "cheapest teachers" and practice an "education on the cheap" policy instead. What a bunch of hypocrites. This is certainly true when it came to Mayor Michael Bloomberg and his long-time Chancellor Joel Klein. Will There Be An ATR Time Limit In The Next Contract? The Union Says No! The Independent Budget Office (IBO) came out once again that if there was an ATR time limit the City could save 71 million dollars each year. This report, on top of the Bloomberg influenced New York Times Editorial asking for an ATR time limit has worried 2,000+ excessed teachers, guidance counselors, social workers, assistant principals and secretaries. "Is the union going to completely sell us out"? According to the union leadership the answer is an emphatic no. First, let me give the reader a brief history of how the ATR pool came about. 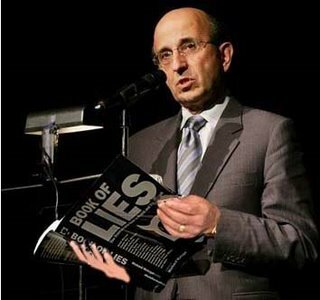 The ATR issue goes back to the non-binding"fact finding" by a three arbitrator panel which was the basis of the terrible 2005 contract. The arbitrators recommended that the seniority transfer system that allowed senior teachers who wanted to leave their school, could bump untenured teachers out of their positions at more desirable schools. The result was the highly experienced teachers ended up in the best schools while the poor and minority students in struggling schools experienced an unstable and inexperienced teaching staff.or so that was what the DOE claimed and accepted by the arbitrators. However, then Chancellor Joel Klein wanted to take it one step further and requested that the provision that required that "all excessed teachers in a district in the license area must be placed before schools could hire teachers outside the Department of Education" should be eliminated. Shockingly, Randi Weingarten agreed to Joel Klein's request with one provision. 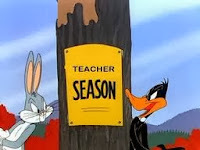 That the teachers in excess cannot be terminated and that failure to obtain a position is not grounds for termination. Joel Klein eagerly agreed to the provision and from the moment the 2005 contract was signed, Joel Klein demonized the ATRs. The Chancellor told the principals, politicians, the media, and anybody else who would listen that the ATRs are :"bad or failed teachers". The introduction of the "fair student funding formula", tightening budgets, and teacher salaries as part of a school's budget have brought about the ATR crises we are now in with over 2,000 ATRS without a permanent classroom. That's were we now find the situation at the present time. 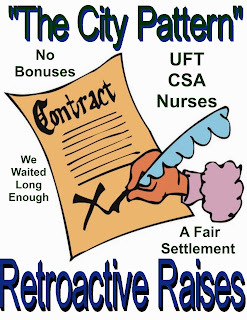 Previously, the union has consistently refused to include an ATR time limit in contract negotiations with the Bloomberg Administration. According to the union leadership, the City offered the union the two 4% raises if the union agrees to a 4 month time limit for the ATRs. The union has refused and have informed me that an ATR time limit is not a negotiable item in any contract negotiations with the new de Blasio Administration. Another reason for the union's steadfastness on the ATR time linit is that the other Municipal unions would probably file a lawsuit since it violates New York State Civil Service Law and sets a "slippery slope" for other government organizations to form their own "excessed worker pool" and then set a time limit to ensure their termination. I spoke to one high union official in a uniformed service who claims that the rest of the Municipal unions warned the UFT that they would pursue legal action if they negotiated a ATR time limit. How true that is, I don't know but I believe its true. 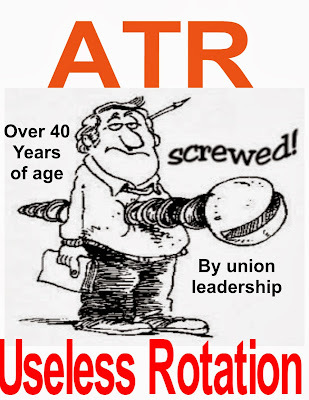 Can the union change their minds and negotiate an ATR time limit? Well, anything is possible but I believe the union will not sell out the ATRs and let the DOE impose a time limit. Instead, I look for the union and the new de Blasio Administration to work out procedures to get ATRs back into the classroom by the 2014-15 school year. Did Mayor Bloomberg Influence The New York Times Editorial Trashing NYC Teachers? On Sunday I picked up the overpriced Sunday New York Times from my neighbor's stoop and read the Editorial Board's opinion page about how Mayor elect Bill de Blasio should negotiate with the teachers union on a new contract with retroactive raises. I couldn't believe what I was reading. At first I thought "did those anti-teacher New York Post and Daily News Editorial Boards hijack the Times"? 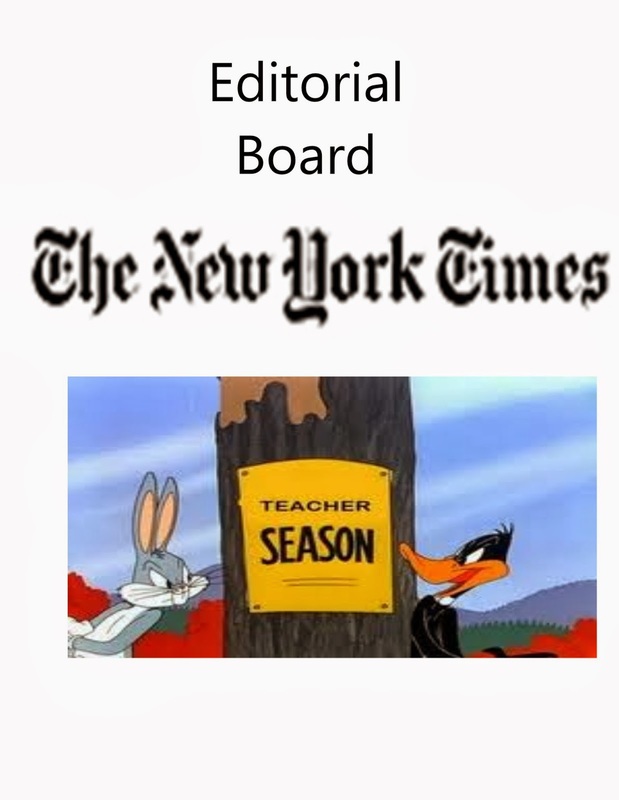 Then it came to me the Times Editorial Board was really a puppet and was airing Mayor Bloomberg's looney ideas on how to destroy the teaching profession and the union that represents them. Let's look at what the opinion piece said and what's wrong with it. Fist, the Times article recommends that the new contract should eliminate seniority rights for both raises and salary steps and don't forget layoffs. According to the Times Editorial, "newbie teachers" who are "highly effective" should get "merit pay" and kept if layoffs occur. while experienced teachers should not be increasingly compensated for time in the system and should not result in raises in their salary. Moreover, advanced degrees and increasing education credits should not come with pay raises and salary steps. On the other hand, the article wants to pay starting teachers a higher salary to keep them in the system. That's the reason that 50% leave the profession. How about the hostile environment, lack of support, or that teaching is just a stop on the road to a real job as the real reasons for abandoning teaching. I smell a whiff of E4E here. 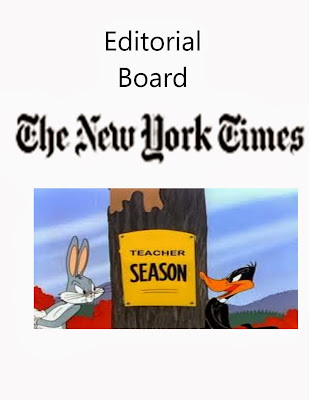 Second, the Editorial Board wants to give a time limit to those "inactive teachers" (ATRs). Notice they make it sound like ATRs do nothing but sit all day and read a book. They ignore the fact that the ATRs are in the classroom all day as provisionals, leave replacements, and covering classes for absent teachers but that doesn't seem to count. The article also makes it sound like the ATRs don't want a job when the truth is that the ATRs do want a permanent position but are discriminated against by principals because of their age and salary and the ones that do get a job are usually younger with less than ten years in the system. How convenient that they ignore that fact that principals are encouraged to hire the "cheapest" and not the "best" teachers..
Third, the article uses the Bloomberg/Tweed idea of terminating teachers for alleged misconduct, if substantiated by an investigator. In other words, the Times Editorial Board wants to eliminate teacher "due process rights" by making some alleged misconduct automatically a termination offense, despite the very real possibility that the teacher is actually innocent of the allegations. No need for evidence or an independent Arbitrator to weigh the evidence, if an investigator believes it happened, despite no evidence showing it did, its good enough for the Editorial Board. "What country do they live in"? The Soviet Union? Maybe the Times Editorial Board works for "Pravda"? Fourth, those clueless non-educators want teacher work rules loosened by adding more time, teacher parent conferences, and more classroom instruction that occur in those thriving charter schools. What's left unsaid is the extremely high teacher turnover rate, relentless test preparation at the expense of real learning, and the stringent discipline procedures that result in many "high needs" students to be excluded or expelled from those schools. However, I guess that doesn't count to the Times. Finally, the article fails to point out the "City pattern" was set for the two 4% raises for fiscal 2009-10 and they included no "givebacks". Since the beginning of collective bargaining in the 70's one a "pattern is set", all unions get the same or very similar pattern. Its no different now and just because the Mayor rather use the money for other purposes does not make it right. Yet, the Editorial Board fails to address this issue as if it doesn't exist. The Times Editorial Board's opinion piece is, as my independent Arbitrator said when he threw out a letter to my file as "unfair and inaccurate" when it comes to the truth Shame on them for their trash article. 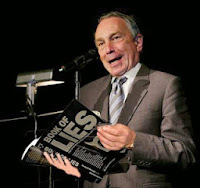 I must say if Mayor Bloomberg admitted he influenced the Times Editorial I, for one, would not be surprised. What shocked me was how low the Times Editorial Board would take the DOE supplied information without a real "fact checking" process and then stoop so low as to trash NYC teachers and their union while getting the issues all wrong in the process. To The New Chancellor. Let's Do What's Best For Our Students. There is little doubt that under the imperious regime of Mayor Bloomberg that the New York City public school system has changed. The problem was the change was not for the better and was based upon phoney education reform principals and had no appreciable effect on real student academic achievement. Instead it resulted in closed schools, demonizing the teaching profession, gypsy teachers without a classroom, an influx of inexperienced and untested teachers, and the lowest teacher morale in memory. Therefore, the new Mayor and Chancellor should bring back long-studied principals in education that benefits the students and not the wishes of those non-educators at Tweed that hopefully be terminated by the new De Blasio Administration. First, impose a "hiring freeze" and require principals to hire the many "quality teachers" currently languishing in the ATR pool (2,000+) and not the "cheapest teachers" as is currently being done. To encourage principals in doing the "right thing for their students", give the school an incentive, similar to the November 2008 ATR agreement No Principal would be allowed to hire new teachers if there are teachers in the subject area currently in excess in their District. "No exceptions should be permitted". The result would be more "quality teachers" in the classroom and the principals wouldn't have to "roll the dice" and use the students as "guinea pigs" on whether the "newbie teachers" could actually teach. Second, reduce class size to a more manageable size. Under the Bloomberg years, class size has actually risen since he came into control of the schools. In fact, at a speech in MIT two years ago he said that if it was up to him he would have class sizes of 70 students with half the teachers. The biggest increases occurred in the lower grades where study after study showed that class size is an important factor in student learning. The placing of the ATRs into the classroom, where they rightfully belong, will go a long way in achieving the class size reduction goals. Third, give adequate resources to the schools. Since 2007 the average school has seen a reduction of 14% in resources and a 32% decrease in school support services from Tweed. Under Bloomberg it has been an "education on the cheap" policy as the schools are starved for resources, forced to hire the "cheapest teachers", scrimp on classroom supplies, and are required to put the school's stringent budget over the education of their students. To reverse this, the DOE should, once again, make teachers a unit and eliminate the "fair student funding formula" that doesn't work. Having the Central Office control the teacher budget line would relieve the pressure on principals to hire untested and inexperienced teachers, instead the principals could interview for the "best teachers" for their schools. Fourth, Eliminate the nearly useless and money sucking "Children First Networks" (CFN) that have destroyed neighborhood and parent involvement in the schools. Give more authority to the District Superintendent's Office as they are more in touch with community concerns and remediation as well as for a parent to go to with complaints or other issues. In addition, bring back the neighborhood schools. It's unfair that some students are forced to travel over two hours to a school because the schools in their neighborhood didn't select them. This is especially true of the Bloomberg small schools where an unofficial screening process is used to keep out the "high needs" students. Fifth, overhaul the teacher evaluation system and make it more flexible and classroom friendly. Furthermore, the "common core" requirements need to be loosened until it becomes easier to incorporate into the curriculum. In other words let teachers teach in a way that best for their students ability to learn. One of our colleagues Arthur Goldstein found this video of Charlotte Danielson saying that student tests should not be used in a teacher's evaluation. Too bad, the State doesn't listen. Finally, improve the existing "rock bottom" morale in the schools by showing school staff the proper respect for their profession. 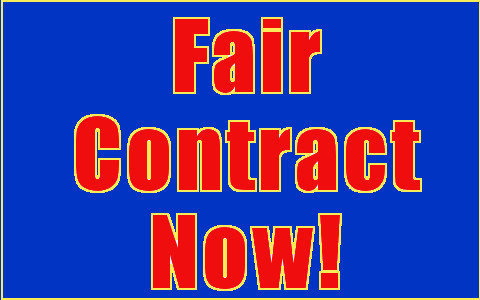 The first step is to negotiate a "fair contract" with the UFT, eliminate the "gotcha mentality" that permeates the higher levels at the DOE, and encourage true collaboration between school administrators and staff, not the "us against them" mentality that is encouraged by Tweed. A happy staff makes for improved classroom environment and better student learning. Now that's "children first, always".